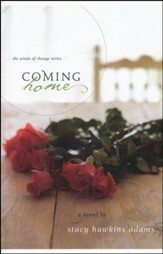 * Are you struggling to survive in a spiritually mismatched marriage? Offering empowering insights, Donovan and Miller present 10 Christ-centered keys to thriving in this relationship. You'll be encouraged to commit to Christian community, release your spouse to God's capable hands, find peace with Christ and your husband, and more. Includes discussion questions and leader's guide. 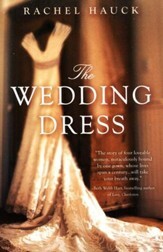 224 pages, softcover from Baker. 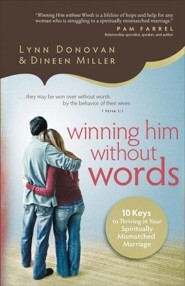 Lynn Donovan writes for the online ministry she founded in 2006, Spiritually Unequal Marriage. She is a popular Bible study leader and national speaker who dispels the myths women believe about love and marriage and points them to the freedom that is theirs through a living relationship with Christ. She lives in Temecula, California, with her husband, Mike. Dineen Miller believes her years as a youth counselor, a Stephen Minister, a women's ministry leader, and a small group leader fuel her desire to ignite the souls of others through words of truth. She's also a C.L.A.S.S. Communicator and has been featured on the Moody Radio Network, Focus on the Family, and FamilyLife Today. She lives in the Bay Area with her husband. They have two daughters and a son-in-law. Dineen is author of The Soul Saver. 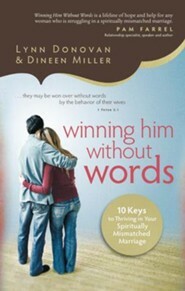 I'm the author/artist and I want to review Winning Him Without Words: 10 Keys to Thriving in Your Spiritually Mismatched Marriage.